The Daily Sojourner | Musings of the buffalo soul-jah as she takes on the invincible summer within her. Musings of the buffalo soul-jah as she takes on the invincible summer within her. I’ve been at this blog for two years now, and I’ve seen some personal milestones so far. I traveled alone for the first time, I learned to own up to my musical talents, and overall, writing publicly has helped me understand myself in a deeper way. But recent events have thrown my thoughts back to one of my earliest entries which I titled “I’m Not Emotionally Mature Enough To Work At A Hostel“. Two years later, turns out I am. It’s really, really funny how things change. I AM emotionally mature enough to work at a hostel. Here’s what I mean: back when I was traveling through Brazil in the fall of 2014, I was bouncing from hostel to hostel. I’d be sharing a room with 8 to 14 other people I’d never met before from all over the world. One relatively small common room. Shared breakfast. And a small, personable, fun staff to take care of everything. For some, this sounds like a nightmare. For someone as sheltered and as eager to “get out there” as I was, it was the perfect situation to meet cool people and explore new cities together. And that’s exactly what I did. I connected with dorm-mates, hostel-mates, sometimes even staff workers. We’d gallivant about, learning about the city together, having crazy adventures, with deep conversations all the while…and at the end of all of it, there’d be a goodbye. And by the time that goodbye swings by, I’m already attached. This person (or this group of people) has become my person. My “best friend forever“, in preschool terms. The goodbyes would be painful. Yes, I’ll try to make it to your country. Maybe you’ll make it to my country! Don’t forget to send me those photos! I’ll send you a postcard from my next destination. Don’t be a stranger now! Add me on Facebook/Instagram/…! I wrote that initial blog post two years ago about not being emotionally mature enough because I didn’t know how to move forward after making a deep connection with someone who I’d probably never see again. I didn’t think I could live through a constantly revolving door of awesome people. At the point, my paradigm was that any great person who I had a phenomenal time with was meant to stay in my life forever. But now, that’s not my worldview anymore and it’s jarring to realize this. I’ve traveled a lot since those days, mostly on solo adventures. Also, I’ve had to uproot my life several times since then. Point is, these past few years have been an intense season of meeting or having great people in my life, and having to let them go in significant ways. I’ve learned that it’s very special to meet someone and connect with them right away, especially with the added bonding experience of traveling through a new place. I’ve also learned to be okay saying goodbye and never see that person again. It doesn’t mean that our time together wasn’t special. I’ve grown to find satisfaction in the memories. We can meet again in the realm of memory. We have the experiences. And maybe we’ll actually meet again. That would be great. And maybe we won’t. That’s okay, too. I don’t believe in forever anymore. I used to. But now I don’t. And I think that’s the lesson. Life is a constant revolving door of people. And…it is what it is, isn’t it? It’s summer! And I’m saying thank GOD because I can finally turn to my other passions and strengthen them. My first year of law school was ridiculously stressful, consuming my life far more than I had anticipated. Thus, I had to focus my energies almost entirely on that. Now that it’s over, I look forward to turning to my personal projects. Law is an important part of my path, but so is music. I’ve been checking out the local music scene here in Port of Spain, and I’ve vowed to perform on every stage I can find. So far, I’ve performed at two open mics to a great crowd, and I’ve been learning about the small niche community that is Port of Spain’s music scene. In all, I’m taking that next step, which is to share my music not just with friends and anyone friendly enough to listen, but I’m putting myself out there in a bigger way—I’ve created a Youtube channel as well as a separate blog that will focus entirely on my music. Despite having posted a few videos and music clips of myself here on Daily Sojourner, Feroza Music is really the first time I’m going head first into sharing the songs I’ve written, near and dear to my heart, with the world. It’s terrifying. My boots quake in fear and the voices tell me that I’m stupid for even trying. But I’ve come too far from where I started two years ago and I’ve gotta try. So I thank God for the summertime. I have an opportunity to delve into my craft, and nourish my spirit with the other things that give me deep joy. I’ve noticed friends from different circles also doing the same, which is pretty cool because none of this is coordinated. It must be a feeling in the air. There’s something about student life (or post-student life) and the summertime. It’s an opportunity to grow. An opportunity to breathe. An opportunity to take on new challenges and see where it leads you. I’m not often excited, but I’m excited about this! ALSO: Shout out to Steward Poindexter from Thank God For The Summertime for introducing me to Ben Rector’s Walking in Between. The coolest place ever, though I didn’t get to see much of it. I did do a quick walking tour with my Luxemburgan brother. The city has a really cool vibe, but my inner law school nerd kept chanting “Treaty of Maastricht, Treaty of Maastricht!” (The Treay is one of the foundation agreements of the European Union (I study EU law)). The little I did see, though, was pretty cool, and the things I noticed were only because I had a guide who is madly in love with the place. Increasingly, I find that I don’t quite like travelling just for the sake of travelling anymore. At least not by myself. These days, I much prefer having a companion and sharing the experience. And, if that means that I get to see less things and simply hang out, that’s completely fine by me. It’s about the faces, not the places. Historically speaking, I have never visited a locale where Americans are so beloved. Having studied Caribbean and Latin American history in detail, I’m used to some amount of resentment toward the United States on account of all the damage done in the past two centuries. The US, it must be recalled, has acted as nothing short of a bully in the region. However, in the context of two World Wars in which the Americans essentially saved their asses both times, I came to understand the reverence and praise here in Europe. The two wars, after all, were fought on their soil. The monument contains the names of all fifty states, commemorating the Allies (led by the Americans) retaking the city of Bastogne from the Nazis. Not long after, the war was finished. Note: This is part of a series of posts in which I share snippets of my Easter sojourn. Thank you for reading. What struck me about this trip to Luxembourg were the skeleton trees. It was not quite spring yet, but so beautiful. I think my fascination with Lux has to do with the fact that it is so different from where I come from. The Caribbean countries I have visited and resided in are jam packed with bright, vivid colors everywhere that sometimes get rather sickening. In contrast, the colors in Luxembourg city are far more subdued. Of course, this is a classic syndrome of the grass being greener on the other side and all that. Exoticism, after all, is beauty that is different from the beholder’s norm. One rainy day in London, taken from the top of a double decker bus. This will seem so asinine to some folks, but I gotta write about it. I LOVE coffee shops. I do. I DO. Nothing makes me happier than whiling time away at a cafe with a steaming mug of chai latte and a notebook of some kind to pen my thoughts. It’s the ultimate form of meditation for me, right up there with sitting next to a fountain or a large body of water (river, pond, lake or better yet, the ocean) with a book in hand. Coffee shops are where people fall in love, where people plan out their dreams, where two friends meet for a heart to heart chat, where business deals are closed…things happen at coffee shops. My trip to London this time around was all academic business, so naturally, I spent most of my time at various cafés studying (do you see the trend here from my last post?). I’m a law student, so my life is essentially found in statute books and texts harkening on about legal principles. And I find refuge in coffee shops, better than a library because I get to people watch for a bit while being reminded that life goes on outside academia. What was cool about my café hopping is that I was surrounded by like minded people (there is no such culture in Trinidad and it truly hurts my soul). Other people studying, working on their laptops, or having easygoing conversations. The smell of espresso in the air, lightly playing jazz in the background…yeah. Love it. I took the above photo on one of my days in London, at this really cool, hipster vegan café. These guys sitting across the table from me found this note and, again, I was so encouraged. The guys started querying the philosophical truth of the note, but all I could focus on was that someone, hours before, probably left that note behind, written on a napkin, to encourage anyone passing through thereafter. As I’ve said, I love randomly finding notes. Not many people know this, but I spent most of my time in Los Angeles in the library of my alma mater, studying and stressing, and studying some more, and crying. No lie. There was a lot of pressure that I put on myself. But on a lunch outing I went on with my cousin, I saw this on the bathroom wall and, in reading it, I felt this huge release. Man, I love randomly discovering words of encouragement and affirmation! Los Angeles is so much more than Hollywood and vapid blonde women in big sunglasses and angry Black men in speed cars (the stereotype, I know). As much as I did get to explore places and spaces beneath the surface of LA during my college years, there are some really obvious areas that I neglected to ever see. It would be unfair to liken it to New York City’s Central Park, or even São Paulo’s Parque Ibirapuera. Still, Echo Park gave me that feeling. The feeling of a nature-based hideaway smack dab in the middle of the city. With leaves rustling against the wind in the trees above, and the ducks pattering away, and the constant shower of the fountain, one can easily close her eyes and escape the city that is just a block away in every direction. That day was really special. I got to reconnect with my college bestie, which was just fantastic. It was a lovely reminder that no matter how far and how long we’re apart, we’re still part of each other’s lives. And that means everything to me. Nominated by Danyealah Green-Lemons. 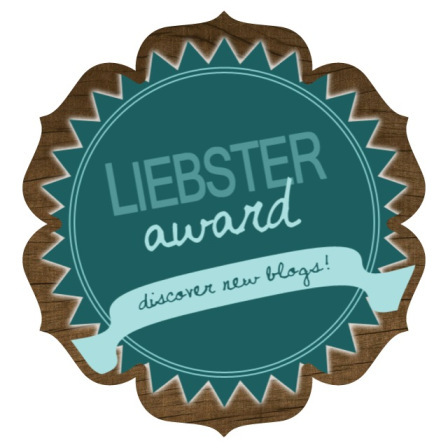 The Leibster Award is one which welcomes new bloggers to the blogosphere community. It's a way of saying, "Hey! We noticed your blog and it's great." Way cool, and thank you!